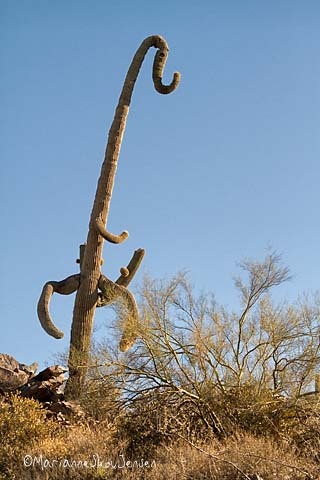 why do saguaro arms droop? One of my favorite Saguaro Cactus resides beside the wash that separates us from the McDowell Sonoran Preserve. He’s affectionately called “Elephant”. 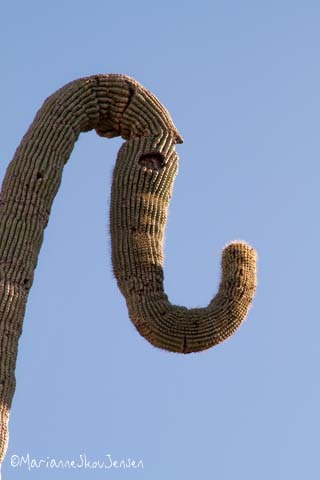 So what causes a Saguaro’s arms to droop? 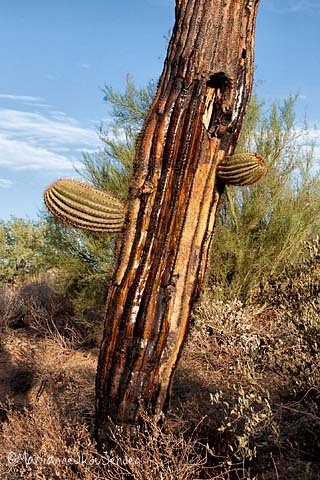 It’s because it’s composed mainly of water so when it’s exposed to severe frost or extended periods of freezing temperatures, the Saguaro’s soft tissues turns to mush and can even liquefy. The damaged tissue rots which then can weaken surrounding tissues, causing stems to shrivel or become wavy and arms to droop toward the ground. If the damage is too extreme, decomposition spreads into the healthy tissue and destroys it, turning the rotten tissue into a black gelatinous mess that oozes out and runs down the exterior of the cactus. 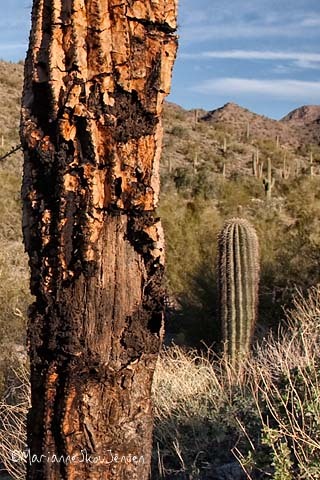 Saguaros can live from a few months to many years after the fatally damaging frost. interesting arm position images. I’m always on the lookout for arms that have fallen almost to the ground but continue to grow. Eye level blooms! Great shots, Marianne! We’re going tomorrow. 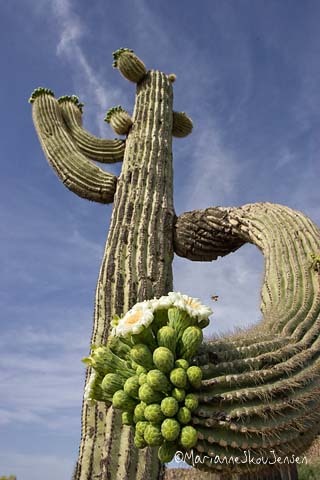 Thank you for the interesting info on the sagging arms of the Saguaro! Great shots….. especially like the last one – eye level blooms.